The family of Natalie Rothery sadly announces her passing. 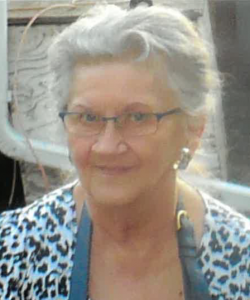 She is lovingly remembered by her husband Ted Rothery; daughters, Sharon (Bob) Rittinger and Sherry Wiebe; sons Dwayne (Laureen) Rothery and Randy Rothery; 8 grandchildren; and 6 great-grandchildren. She is also survived by her sister Iris (Patrick) Meehan; brothers, Ernie (Carrie) Kalynka and Terry Kalynka; sister-in-law, Eileen Kalynka; brothers-in-law Mike (Leslie Tutty) Rothery and Bob (Lynn) Rothery; and many nieces and nephews. She was predeceased by her brother Ron Kalynka and her parents Dmytro and Jennie Kalynka. Throughout working life that included cooking and related food preparation, sewing drapery, and production line work in fabricating fibre optic cable. Natalie was always a popular worker and valued for doing good work and doing it efficiently. When forced to take early retirement because of poor health, she happily continued using her talents knitting and sewing for the benefit of her grandkids. At Natalie’s request there will not be a formal funeral. A private family memorial service will take place at a later date. We would like to thank all of the doctors, nurses and staff on the Palliative Care ward in St. Paul’s Hospital. My deepest condolences to the family. Natalie was such a wonderful gentle person and was so kind to my mother. I always appreciated the care and consideration she showed other people.